"Meeting Annie has truly been one of the biggest blessings in my life. She has helped me to find my inner and outer yogi with the kindness, compassion, and the kind of patience you would fine in only the best eastern yoga teachers. She has helped me to strengthen my practice with her knowledge and attention to alignment. Oh yeah! Her signature massages pre savasana are wicked awesome! She is one of the best yoga instructors I've worked with." Are you or your partner expecting a baby and feeling a little overwhelmed? A lot overwhelmed? Do you feel like you leave your doctor's or midwives' visits with more questions than answers? Do you feel prepared to feel confident in your surroundings at your chosen place of birth, whether it be the hospital, birth center, or at home? A doula is someone who can provide a well informed and compassionate outlet for you to share your anxieties, fears, and excitement. Childbirth is nothing if not full of surprises, whether it's your first baby or your fourth, and having a doula is like having a right-hand (wo)man at your side the whole time, supporting you through the process. 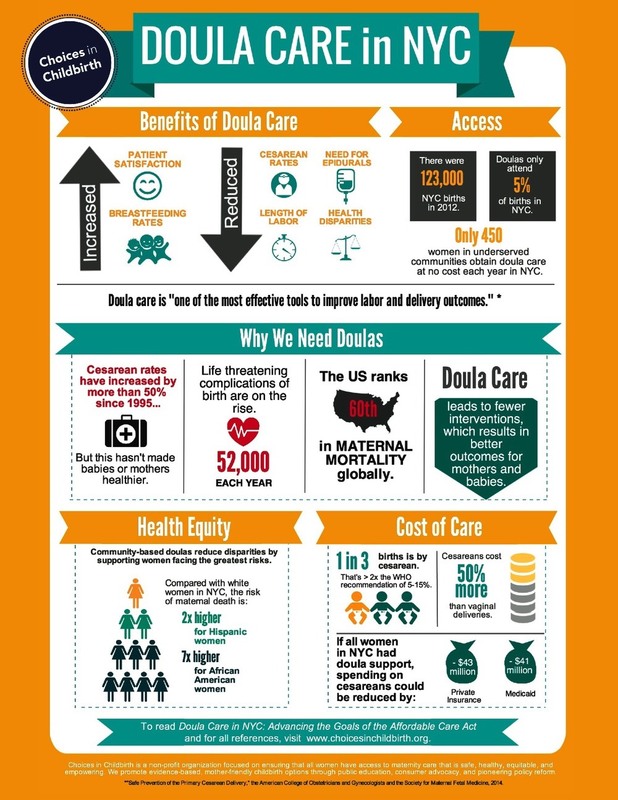 A doula is a someone who is exclusively there for you as emotional and physical support during labor and birth, as well as in the weeks leading up to and following birth. Doulas are non-medical labor professionals - they do not administer drugs, perform procedures, or make any medical recommendations or decisions. Doulas comfort, guide you to information, and most importantly offer a calm and encouraging presence during one of the most momentous occasions life has to offer. Whether your plans include a hospital or home birth, natural or medically enhanced, I'm trained to offer compassionate and knowledgeable support. I am a trained and certified labor doula through DONA International, and would love to share how I can help you have add more joy and less stress to the adventure of childbirth. Email me at yoginiannie@gmail.com for more information! 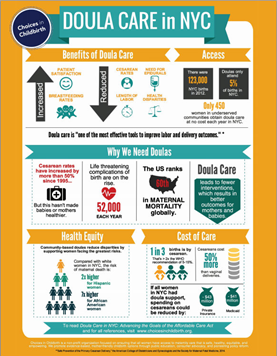 Learn more about the benefits of doula care by checking out the recently released study by Choices in Childbirth: Doula Care in New York City.